Designed, approved and off to print. 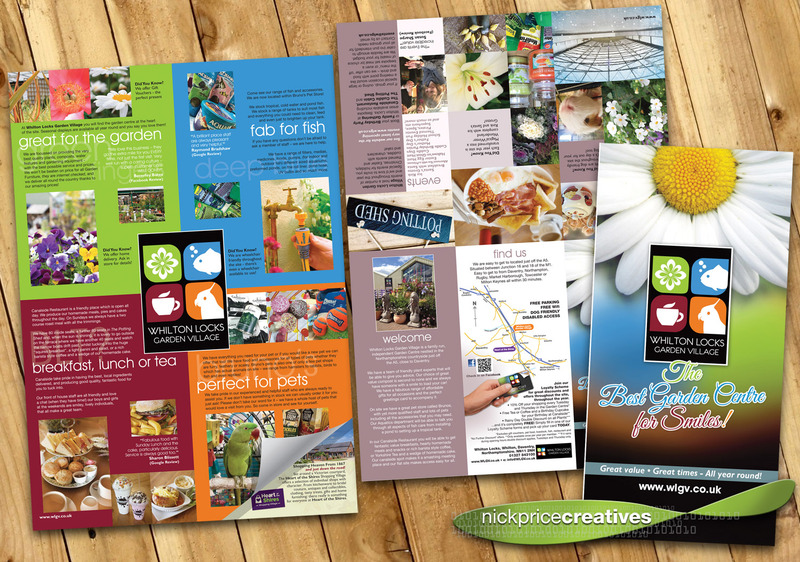 A combined leaflet for Whilton Locks Garden Village had never been produced before so it will be good to see the reaction from the current customers and how it works off-site, to attract new custom. The reputation of the garden centre has grown (no pun intended) over the past few years so it was really good to include several genuine customer testimonials and lots of positive attractions for the centre.